BRUSSELS, Dec 17 2014 (IPS) - The inclusive and sustainable industrial development (ISID) initiative of the U.N. Industrial Development Organisation to promote industrial development for poverty reduction, inclusive globalisation and environmental sustainability is gaining momentum in the countries of the African, Caribbean and Pacific (ACP) group. A concrete sign of this trend came on the occasion of last week’s ACP Council of Ministers meeting in the Belgian capital where UNIDO Director-General Li Yong met with ACP representatives to explore how to further promote inclusive and sustainable industrialisation in their countries and possible ways of scaling up investment in developing countries. During the opening session of the ministers’ meeting, outgoing ACP Secretary-General Alhaji Muhammad Mumuni had already highlighted the key role of the ISID programme in promoting investment and stimulating competitive industries in African, Caribbean and Pacific countries. In December last year in Lima, Peru, the 172 countries belonging to UNIDO – including ACP countries – unanimously approved the Lima Declaration calling for “inclusive and sustainable industrial development”. The Lima Declaration clearly acknowledged that industrialisation is an important landmark on the global agenda and, for the first time, the spectacular industrial successes of several countries in the last 40 years, particularly in Asia, was globally recognised. According to UNIDO statistics, industrialised countries add 70% of value to their products and recent research by the organisation shows how industrial development is intrinsically correlated with improvements in sectors such as poverty reduction, health, education and food security. One major issue that the concept of ISID addresses is the environmental sustainability of industrial development. “We need to move away from traditional models of industrialisation, which have had serious effects on the environment and the health of people,” said Li. Economic growth objectives should be pursued while protecting the environment and health, and by making business more environmentally sustainable, they become more profitable and societies more resilient. 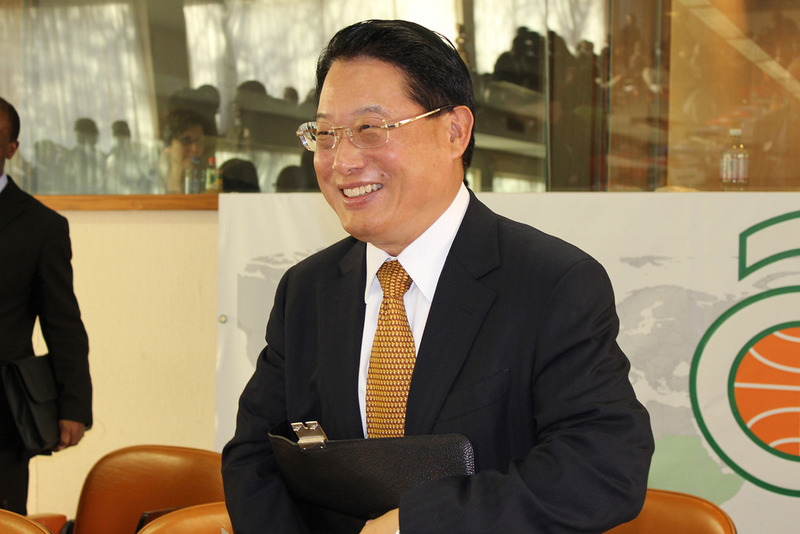 “For ISID to be achieved,” said Li, “appropriate policies are essential as well as partnerships among all stakeholders involved.” This highlights the importance of including ISID in major development frameworks, particularly in the post-2015 development agenda that will guide international development in the coming decades. With strong and solid support from the ACP countries, ISID has already been recognised as one of the 17 Sustainable Development Goals (SDGs) proposed by the U.N. Open Working Group on SDGs – to take the place of the Millennium Development Goals (MDGs) whose deadline is December 2015 – and confirmed last week by U.N. Secretary-General Ban Ki-moon in ‘The Road to Dignity By 2030’, his synthesis report on the post-2015 agenda. A Memorandum of Understanding approved in March 2011 and a Relationship Agreement signed in November 2011 represent the solid strategic framework underlying the strategic partnership between ACP and UNIDO, and highlight how the two partners can work together to support the implementation of ISID in ACP countries. Key is the establishment and reinforcement of the capacity of the public and private sectors in ACP countries and regions for the development of inclusive, competitive, transparent and environmentally-friendly industries in line with national and regional development strategies. On the basis of these agreements, ACP and UNIDO have intensified their policy dialogue and concrete cooperation. One example reported during the ministers’ meeting was the development of a pilot programme entitled “Investment Monitoring Platform” (IMP), funded under the intra-ACP envelope of the 9th European Development Fund (EDF) with the support of other donors. This programme is aimed at managing the impact of foreign direct investments (FDI) on development, combining investment promotion with private sector development, designing and reforming policies that attract quality investment, and enhancing coordination between the public and private sector, among others. This programme has already reinforced the capacity of investment promotion agencies and statistical offices in more than 20 African countries, which have been trained on methodologies to assess the private sector at country level. In Africa, the strategy for the Accelerated Industrial Development of Africa (AIDA) prepared with UNIDO expertise, is a key priority of Agenda 2063 – a “global strategy to optimise use of Africa’s resources for the benefit of all Africans” – and of the Joint Africa-European Union Strategy. In the Caribbean, high priority is being given to private sector development, climate change, renewable energy and energy efficiency, and value addition in agri-business value chains, trade and tourism. The CARIFORUM-EU Business Forum in London in 2013 clearly articulated the need for more innovation, reliable markets and private sector information, access to markets through quality and the improvement of agro-processing and creative industries. In the Pacific, the 2nd Pacific-EU Business Forum held in Vanuatu in June this year called for stronger engagement in supporting the private sector and ensuring that innovation would produce tangible socio-economic benefits. Finally, in all three ACP regions, interventions related to quality and value chain development are being backed in view of supporting the private sector and commodity strategies.